UNITED NATIONS, Jun 7 2012 (IPS) - When the U.N. Conference on Sustainable Development (UNCSD) takes place in Brazil next week, it will be closely shadowed by another event thousands of kilometres away in the South Korean coastal town of Yeosu: Expo 2012. The theme of Expo – the protection of the world’s oceans and its marine ecosystem – will be a subtext at UNCSD where world leaders will approve a plan of action for a greener economy and a sustainable future, including a new U.N. agreement to protect high seas marine life. Secretary-General Ban Ki-moon last month singled out “the protection of our oceans” as one of the key priorities of UNCSD, also known as Rio+20, scheduled to take place in Rio de Janeiro Jun. 20-22. “Oceans cover almost three-quarters of the surface area of the globe. They are home to the largest animal known to have lived on the planet – the blue whale – as well as billions upon billions of the tiniest of microorganisms,” Ban said. Still, he lamented, marine biodiversity, despite its importance, has not fared well at human hands. But there is hope, he added, because a scientific review conducted in 2011 showed that, notwithstanding all the damage inflicted on marine wildlife and habitats over the past centuries, between 10 and 50 percent of populations and ecosystems have shown some recovery when human threats were reduced or removed. “However, compared to land – where nearly 15 percent of surface areas is under some kind of protection – little more than one percent of marine environments are protected,” he added. 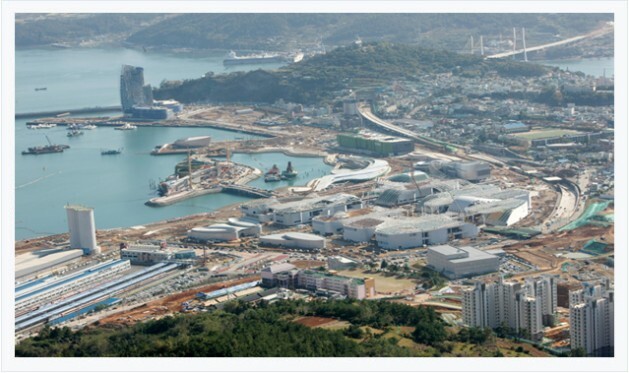 Ambassador Samuel Koo, U.N. commissioner-general Expo 2012, told IPS that participants in the three-month Yeosu Expo, dedicated to oceans and coasts, are determined to give the theme a full airing, with Rio+20 very much in mind. “There is a widespread recognition that without healthy oceans and coasts, sustainable development and the achievement of the Millennium Development Goals (MDGs) will not be possible,” he warned. Koo said serious efforts by government officials and experts are underway to produce a set of “action plans” with which the Expo will close on Aug. 12 in the presence of Secretary-General Ban Ki-moon, a former foreign minister of South Korea. Following tough discussions in New York, she said, a large number of developing countries and the European Union (EU) were successful in ensuring that a new U.N. agreement to protect high seas marine life is still on the table as a key outcome on oceans at Rio. And this, Rey pointed out, despite strong opposition from a handful of countries such as the United States, Canada and Japan. “Given the crisis that is facing our oceans, business-as-usual is not an option,” she added. It is critical that those governments blocking progress stand aside next week and ensure that Rio becomes a critical milestone in safeguarding our oceans for now and future generations, said Rey. At a press conference last month focusing on oceans, the United Nations said that overfishing and conservation of marine biodiversity are among key issues to be tackled in Rio next week. About 85 percent of the world’s fish stocks are “overexploited, depleted or recovering from depletion”. And according to U.N. estimates, the world economy can gain up to 50 billion dollars annually by restoring fish stocks and reducing capacity to an optimal level. Andrew Hudson, head of the Water and Ocean Governance Programme at the U.N. Development Programme (UNDP), told reporters that fisheries are a major piece of the global economy and a major source of jobs for people both in the developed and the developing world. “We have to pay close attention to this issue if we want to maintain healthy and productive oceans going forward,” he added. Last year, four U.N. agencies – UNDP, the U.N. Educational, Scientific and Cultural Organisation (UNESCO), the Food and Agriculture Organisation (FAO) and the International Maritime Organisation (IMO) – released a plan to limit the degradation of oceans. The plan, titled “Blueprint for Ocean and Coastal Sustainability”, focused on several issues related to the oceans, including overfishing, pollution and declining biodiversity. Calling on member states to set up more effective institutional mechanisms to protect the oceans and coastal areas, the report said that oceans also absorb close to 26 percent of carbon dioxide emissions in the atmosphere, increasing acidification, which affects plankton. These, in turn, affect the entire food chain, significantly increasing the impact oceans have on all ecosystems.